There are many many combinations of attacks and defense techniques to practice. Underlying that practice is the study of body awareness and movement and the study of conflict and harmony. 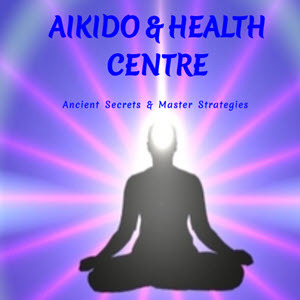 Every Aikido class is different, but there are some typical patterns that you will experience in all the Aikido classes. Each class will start with warm ups of some kind. Different instructors will have different warm up routines, but there will always be some slow stretching to get the body ready for more vigorous movement. After warm ups, the class will generally move to slow practice of Aikido techniques. This gives people the opportunity to begin moving and centering themselves before having to undertake vigorous practice and harder falls. Once people have begun to get into the flow of the movement, the instructor will have people speed up the movement. Finally as people begin doing full Aikido movement, the practice may take off in different directions. The instructor will choose the techniques to practice in the class. S/he may look at different defenses for a single attack or at different attacks that a single defense may work with. Sometimes the organizing idea in a class will be a movement or energy theme. For example, the class may examine how a given spiral of movement shows up in different defense techniques, how the same movement pattern occurs in sword work and unarmed Aikido, or how an energy quality of expansiveness can affect a variety of movements. 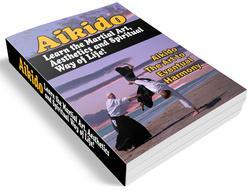 Aikido is not rote practice of unvarying movements. A unique and important part of Aikido is the process of exploration and personal discovery — both of the nature and meaning of the defense techniques, and of your own personal style of movement and awareness. Important elements to explore are your responses to pressure and the ways you interact with your practice partners.